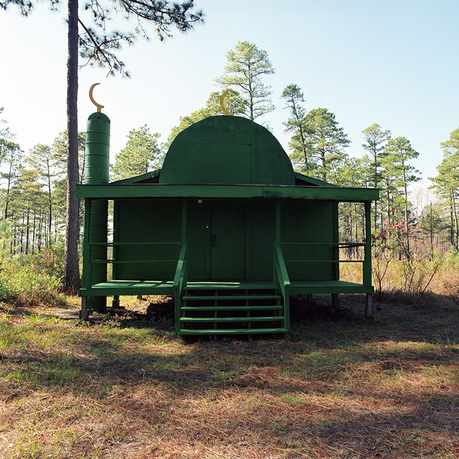 Christopher Sims, Green Mosque, Camp Mackall, North Carolina, 2006. Courtesy of the artist. 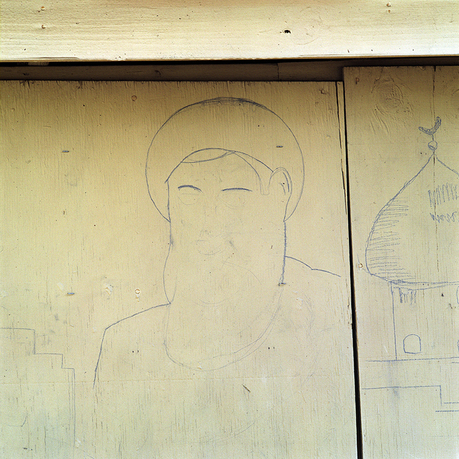 Theater of War is a photography-based project engages with the structures and inhabitants of imagined and fabricated Iraqi and Afghan villages, spread out over thousands of acres on the training grounds of US military bases in North Carolina, Louisiana, California, and elsewhere. The buildings and sets that the US government and its contractors have constructed are both Western and Islamic, convincingly accurate and comically misdirected, mundane and nightmarish. 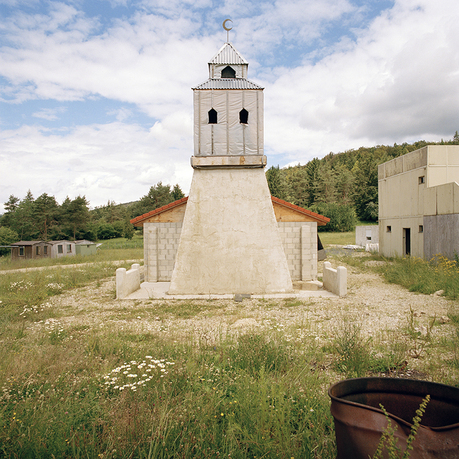 The villages serve as a strange and poignant way station for people headed off to war and for those who have fled from it. 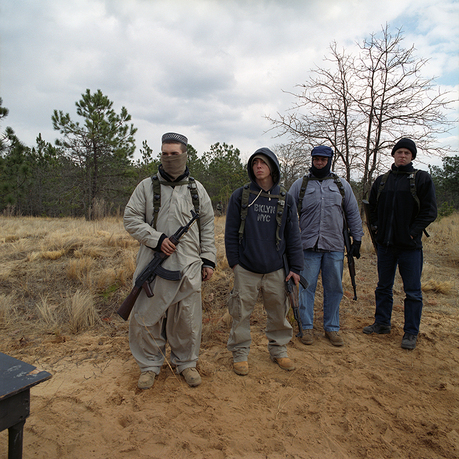 US soldiers interact with role-players who are often recent immigrants from Iraq and Afghanistan. When they aren't engaged in training exercises, both groups decorate and otherwise modify their temporary surroundings on the bases. The resulting architectural spaces create layered visions of overlapping and competing world views. Christopher Sims was born in Michigan and raised in Atlanta, Georgia. He has an undergraduate degree in history from Duke University, a master's degree in visual communication from the University of North Carolina at Chapel Hill, and an MFA in studio art from the Maryland Institute College of Art. He has worked as a photo archivist at the US Holocaust Memorial Museum in Washington, DC, and currently is the undergraduate education director at the Center for Documentary Studies at Duke University. His exhibitions include shows at the Houston Center for Photography, the Light Factory, the Southeastern Center for Contemporary Art, and the Halsey Institute of Contemporary Art. 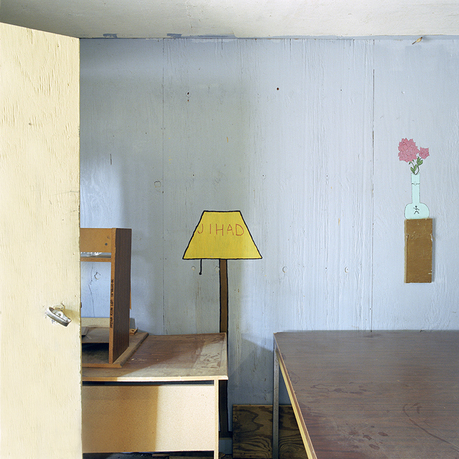 He was selected as the recipient of the Baum Award for Emerging American Photographers in 2010, named one of the "New Superstars of Southern Art” by Oxford American in 2012, and was awarded the Arte Laguna Prize for Photographic Art in 2015.